Single parenthood is on the rise in America with the high rate of divorce and there are more laws now than ever to protect and provide for single parents struggling on their own. There is no one law across America. Child support laws vary state-by-state and Native Americans, tribe-by tribe. Federally recognized states and tribes are responsible for developing their own guidelines for determining child support. Most states have their own “Child Support Guidelines Worksheet” which is used for determining the calculation of support in that state. Courts may choose to deviate from this standard calculation in any particular case. All States and territories run a child support enforcement program, usually in the human services department, department of revenue, or the State Attorney General’s office. Native American Tribes can also operate culturally appropriate support programs with Federal funding. Families seeking government child support services must apply directly through their State/local agency or one of the Tribes running the program. The nation’s Child Support Enforcement Program (CSE) is a Federal/State/Tribal/local partnership to help families by promoting family self-sufficiency and child well-being, including establishing paternity, locating non-custodial parents, establishing support orders, and collecting support payments. Program Descriptions of the CSE – Locating Non-Custodial Parents where officials can use information from computerized State and Federal Parent and Locator Services (FPLS) to locate parents and their assets. Paternity establishment is the first step in obtaining an order for child support when a child is born out of wedlock. Established paternity can give a child access to social security and retirement benefits. In a dispute, the parents can take a paternity test. A genetic test can be established up to the child’s eighteenth birthday. Hospitals must provide fathers the opportunity to acknowledge paternity voluntarily at the time of birth. 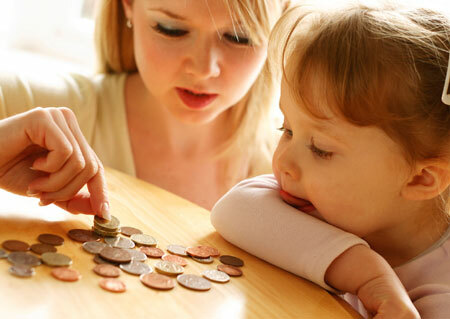 States have guidelines to determine how much a parent should pay for child support. Support orders can be established by a court or by an administrative hearing process. Provisions for health insurance coverage must be included in the support order. Overdue child support can be collected from Federal and state income tax refunds, liens placed on property, also sale of the property. Unpaid support can be reported automatically to credit bureaus. Occupational and recreational licenses can be suspended. A passport can be denied if you owe more than $2,500 in back child support. Your assets can be seized and frozen.. Depending on the state you live in, criminal action can be taken against chronic delinquent parents who owe large sums of child support. Non-custodial parents can use the CSE program to determine paternity where wages can be withheld, and also request a review of their support orders if circumstances have changed. The Federal Parent Locator Service is available to locate a child who has been hidden from the non-custodial parent. minor offspring should receive the same amount of parental support as if the parents lived together. This means that if a child’s custodial parent makes $2,000 a month and the non-custodial parent brings in $3,000 that the non-custodial parent assumes 60% of the support obligation. The Percentage of Income Model where a percentage of the non-custodial parent’s income is calculated. This model presupposes that the custodial parent’s support is spent entirely on the child. The Melson Formula Model where a Standard of Living Adjustment (SOLA) is worked out where the child can share in a parent or parents’ increased income. This is a six-step process which considers the children’s primary support needs. Paternity fraud affects three individuals: the person who has been defrauded, the child deprived of a relationship with his/her biological father, and the biological father who loses his relationship with his child. Some jurisdictions, such as California limit the amount of time allowed to challenge paternity and even if paternity fraud was proven through genetic testing, the alleged father may still be liable for child support. In most jurisdictions the courts have declared the male who acts as the child’s father to be the father. Once the child has been declared to be someone’s offspring and has lived with the man for a period of time, the court may burden him with all of the obligations of parenthood, effectively freeing the biological father from obligations, even if the biological father gains custody of the child. In 2000, the state of Tennessee revoked the driver’s licenses of 1,372 people who collectively owed more than $13 million in child support. In Texas, non-custodial parents who are behind more than three months in child-support payments can have court-ordered payments deducted from their wages, and can also intercept tax refund cheques, lottery winnings or other monies due, including having hunting and fishing licenses suspended. 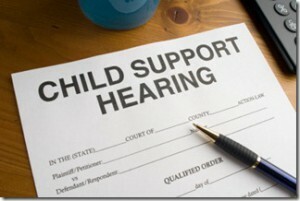 A judge may sentence a nonpaying parent to jail and enter a judgment for past due child support. With the publication of Final Rules and Regulations for Tribal Child Support Enforcement in March 2004, thirty-two comprehensive Tribal programs can establish paternity, modify and enforce support orders, and locate absent parents. Ten others are receiving Federal funding to start new Tribal programs. Studies have shown that parents who share equally in parenting their children are more likely to comply, resulting in support compliance going up above 90%. Reasons for not paying are as follows; inability to pay 38%, protesting lack of visitation 23%, lack of accountability 14%, prefer to give up a child 13%, and denied paternity 12%. In conclusion, the OCSE provides hope and support to America’s children. If you are a single mom who needs to collect past and present child support, get the Handbook on Child Support Enforcement to help you get the support payments you and your children deserve.